Malta is among a few countries where a backlash against journalists was recorded after stories were published in the wake of the the Panama Papers, according to a review of the impact of the massive documents leak. Issued by the Reuters Institute ahead of the collaborative journalism project’s three-year anniversary, the review shows that while nearly one in five countries or international bodies made “substantive legal, regulatory or policy changes” in the wake of the Panama Papers, nothing of the sort happened in Malta. The researchers recalled the car bomb that killed Daphne Caruana Galizia as one example of the backlash against journalists that ensued after the global journalistic investigation. Other countries where such “backlash” was reported included Panama, Venezuela, Ecuador, Tunisia, China, Congo, Finland, Hong Kong, Namibia, Niger, Russia, Slovakia, Turkey and Ukraine. The researchers described this cluster of countries as including “several notably authoritarian regimes”. Although 17 per cent of the countries reviewed experienced “at least one instance of backlash”, the researchers deemed Ms Caruana Galizia’s murder as one of the “most severe” instances of such form of impact. “Backlash against journalists who had worked on the Panama Papers was seen in 17 per cent of countries studied, concentrated in those countries where press freedom is poor in general. One notable instance includes the assassination of Maltese journalist Daphne Caruana Galizia in October 2017,” the reviewers noted. While no “deliberative” changes – results that occur when policymakers hold formal discussions of policy problems and their solutions – were recorded in Malta, there was an instance of what researchers called “individualistic outcome”. Described by the researchers as consequences for people or companies implicated in the Panama Papers directly or indirectly, the study lists the closure of Pilatus Bank by the European Central Bank as one such outcome. 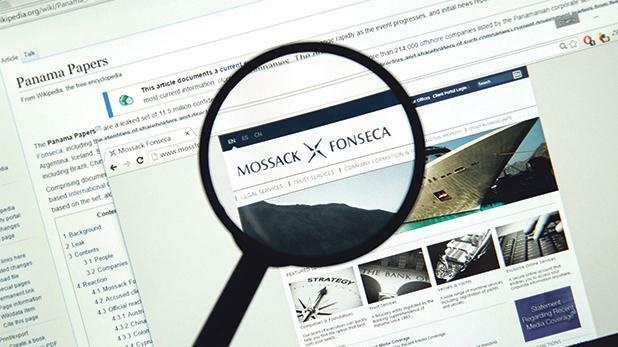 It all started when an anonymous source had contacted German newspaper Süddeutsche Zeitung submitting encrypted internal documents from Mossack Fonseca, a Panamanian law firm that sold anonymous offshore companies around the world. The shell companies enabled their owners to cover up their business dealings, no matter how shady. In the months that followed, the number of documents continued to grow far beyond the original leak. Ultimately, Süddeutsche Zeitung acquired about 2.6 terabytes of data, making the leak the biggest that journalists had ever worked with. After months of analysis, the first news stories were broken on April 3, 2016. The Panama Papers include about 11.5 million documents, primarily consisting of e-mails, pdf files, photo files and excerpts of an internal Mossack Fonseca database. They covered the period spanning from the 1970s to the spring of 2016.